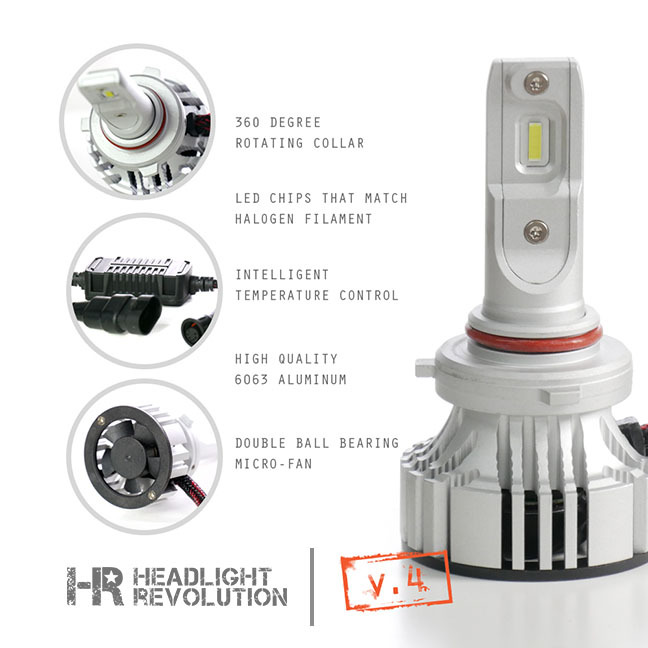 The V.4 comes in every popular style to replace any headlight or fog light bulb. Match the bulb number of your original application (example: 9005, 9006, H4, H13, etc...) with the matching V.4 LED headlight bulb and replace bulb for bulb. Fits all applications including projectors, and headlights with dust shield covers.